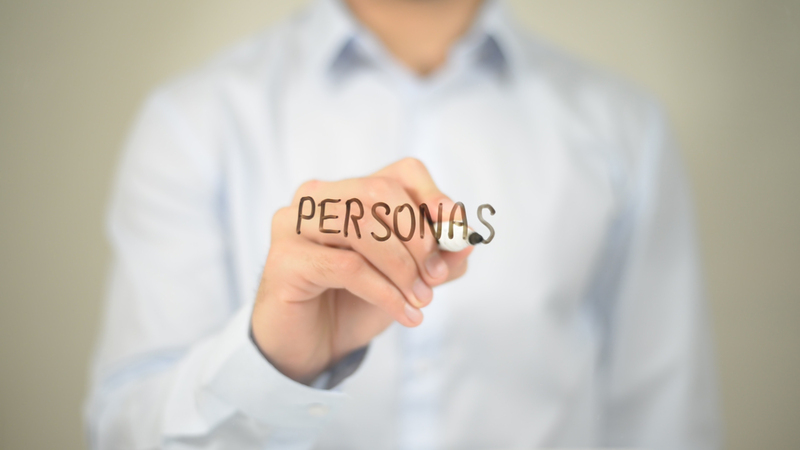 You know by now that buyer personas matter, period. They provide the context and relevance you need to hone your content and deliver it to the right people at the right time. But buyers personas aren’t just a tool for marketing teams — sales, service, product delivery and even finance professionals can use them to inform their daily tasks as well. That means that anyone who interacts with customers should be involved in the process of identifying and defining key buyer personas for your business. Whenever people think of buyer personas, they almost always think of them in the context of marketing activities. … and more. Persona-driven strategies help you attract the right people to your website, engage them with relevant content offers and delight them as customers. But as the inbound methodology has evolved and incorporated more elements of the buyer’s journey, it’s become apparent that personas are relevant to other teams as well. You need to think about how every team works together to bring in happy customers — that is, happy, good-fit, long-term customers. What’s the perfect complement to a persona-driven marketing strategy? A person-driven sales strategy. When both teams are on the same page about who the ideal customer is and how to speak to them, the handoff between marketing and sales becomes much smoother and much more successful. At New Breed, we’re firm believers in alignment between marketing and sales teams — in fact, we’re such firm believers that we combined our internal marketing and sales teams into one big team for revenue and demand generation. Our marketers use personas to inform their day-to-day activities and our salespeople use the personas as general guidelines to help them nail their messaging with each prospect. For example, our ROI calculator is essentially a piece of sales enablement material for a persona who is data- and results-driven. After all, if your sales reps speak to everyone in exactly the same way, they’re going to fail. In the past, we’ve had one excellent, relationship-building sales rep who had high success with two of our personas. Over time, he’s learned to adopt the challenger sales model to sell to our other personas as well, and he’s managed to increase his win rate significantly. The bottom line? When salespeople take a persona-driven approach to sales, they’ll be able to close bigger, better, faster sales. When the sale closes, your new customer will continue to think and behave the same way they did during the buying process. In other words, they are still technically a persona and the same principles still apply. The flywheel continues spinning. The buyer’s journey continues. In that way, services teams can use personas to inform the way they work. If you create a one-size-fits-all service delivery model, many clients will be dissatisfied. On the other hand, you shouldn’t tailor your service delivery model for every new client who comes through the door. That’s not scalable, and it’ll be detrimental to your team in the long run. So what’s the sweet spot for service delivery? By tailoring your service delivery model to each persona — but not necessarily to the individual client — you can reach a happy medium. Your customers will feel like you’re catering to their needs specifically, but you’ll still have a scalable process that enables you to perform repeatable tasks for different clients and produce similar results. This persona-driven strategy improves the customer experience significantly, resulting in better NPS scores, better feedback, better retention rates and ultimately, a higher customer lifetime value for your business. Anyone who’s interacting with customers in any capacity — including any agencies or partners you’re working with — needs to understand who your personas are and how to speak to them. If marketing, sales and services teams are all telling a different story, then that’s going to degrade the customer experience and lead to higher rates of churn. Marketers tend to be closer to the data, so they’ll have a good grasp on the firmographics and demographics of a given persona. Salespeople have conversations with both closed-won and closed-lost prospects every day, so they’re a great resource for understanding how to speak to personas and what their true goals and challenges are. Service team members have a good feel for a day in the life of each persona. Since the customer is already bought in at that point, they understand how each persona wants to approach the solution. Each of these teams should be noticing and reviewing persona information on a regular basis. For larger, more established companies, gathering to review persona documentation at least once a year will prevent personas from becoming stagnant. However, smaller companies may want to review persona documentation on a more frequent cadence; if you don’t have many customers yet, your personas will be based on a lot of assumptions, so you need to review and validate them as you collect more information. You might even find that persona information comes from the most unexpected places. For example, if your CFO notices that they always have trouble collecting payments from a specific persona, that might be an early warning sign that the persona isn’t a good fit for your company. HR might alert you to the fact that employees consistently have issues working with a given persona — another potential warning sign. The real takeaway here is: Listen to your team. Everyone in your business works in tandem to drive results for your customers, and every interaction your team has with customers can inform your buyer persona definitions. And well-developed personas make for a well-oiled flywheel that helps your business thrive.